The farm set within the Yorkshire Dales National Park is within a mile of Bolton Abbey and the river Wharfe. From Bolton Abbey the Dalesway footpath winds its way along the river passing through picturesque towns and villages such as Ilkley, Burnsall and Grassington. Only a few miles away lies the busy market town of Skipton, Gateway to the Dales. 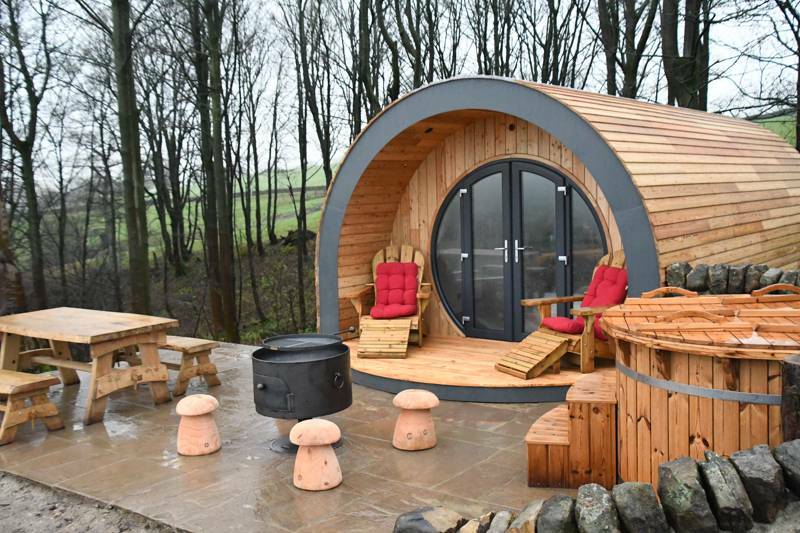 We are very excited to announce the arrival of our bespoke luxury Timber Glamping Pods, which are set in a stunning location on the woodland edge with uninterrupted views of the beautiful Yorkshire Dales countryside. Treat yourself to a relaxing and luxurious break and spend the evening unwinding in your private log fuelled hot tub and roasting marshmallows on your large cast iron fire pit. Love pizza? Our fire pits have a built in pizza oven! Our pods have been creatively designed to ensure your stay is truly unforgettable. From the moment you arrive you will besurrounded by luxury in one of our 3 uniquely styled pods. Each pod is the same size and specification and can sleep up to 6 people. They have their own unique woodland scheme and you can choose from the Stag, the Duck or the Pheasant. The timber pods are well equipped for outdoor living. Relax on your own private patio whilst gazing at the amazing views on the two laid back comfy chairs or take a dip in your log fuelled hot tub. When the night falls and all is silent, listen to the crackle and pop of the wood burning in your fire pit as you tell tales to your loved ones. Everything you need is provided including bedding, towels and kitchen equipment. All our pods are fitted with a small, fully equipped kitchen comprising a hob, microwave, kettle, toaster and fridge. The pods can accommodate up to 6 people and have a double bed, 2 single bunk beds and a comfy sofa bed. The integrated shower room is equipped with a walk in shower, hand basin and toilet. Each pod has wifi and a 32” smart tv. Minimum 2 night stays on normal week days and weekends. Minimum 3 night-stay on Bank Holiday weekends and school holiday weekends. To keep the pods looking great we do not allow dogs. In order to maintain the exclusivity of the glamping accommodation the area is reserved for glamping customers only. 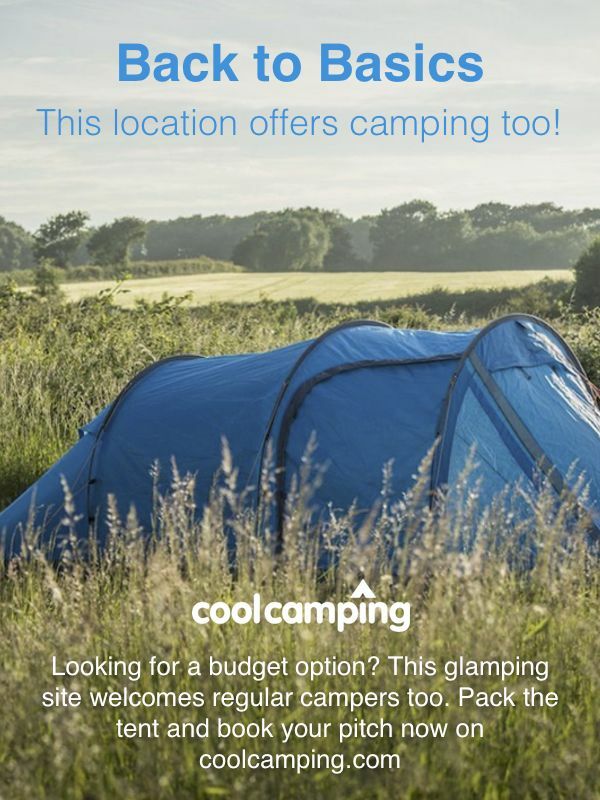 Customers using the campsite are not permitted under any circumstances even if part of the group is glamping.